After the 1973 coup which brought Augusto Pinochet to power, a group of Chilean economists were given the power to turn Chile into a laboratory for the world's most radical neo-liberal experiments. 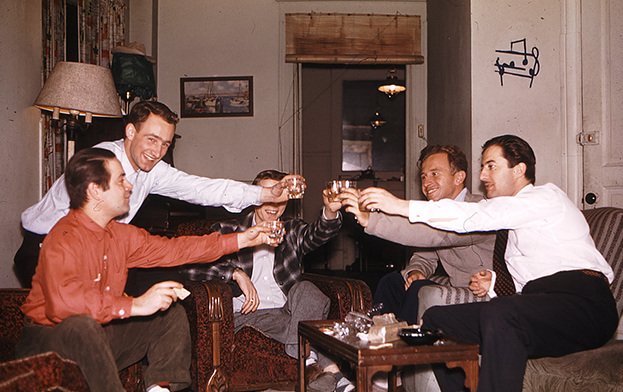 These men, including Sergio de Castro and Rolf Luders, both of whom would serve as ministers of finance during the Pinochet years, met in the 1950s at the University of Chicago, where they studied under the famed economist Milton Friedman, and the man who would become their mentor, Arnold Harberger. 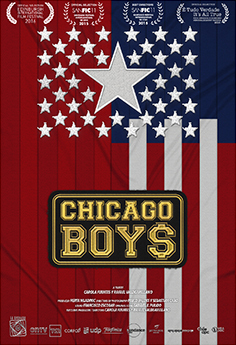 CHICAGO BOYS is their story from their student days through the dictatorship, told by the Chicago Boys themselves. Could their program for 'economic freedom,' such a drastic restructuring of the Chilean economy, only have been implemented by an authoritarian regime? What were they willing to do to achieve their goals? And how do they see the long-term results today? Even though they do eventually acknowledge some of the darker sides of their work, Luders "couldn't care less about inequality," de Castro feels bad for the torturers, and they all seem completely baffled by those Chileans who have filled the streets, for five years now, in protest against their legacy. Five of the master documentarian's seminal works in an 8-disc boxset, with a 24-page booklet and bonus film about Guzman. The epic chronicle of Chile's open and peaceful socialist revolution, and of the violent counter-revolution against it in 1973, now on a special edition 4-DVD set.